Global Herbs MSM helps to maintain healthy and strong joints in all horses, whether young or old, retired or competing. MSM is an essential source of sulphur, which is found naturally in most plants and pasture. Sulphur nutrition is often lost during the manufacture of concentrate feed and therefore maintenance levels of MSM can be useful in horses working and competing. 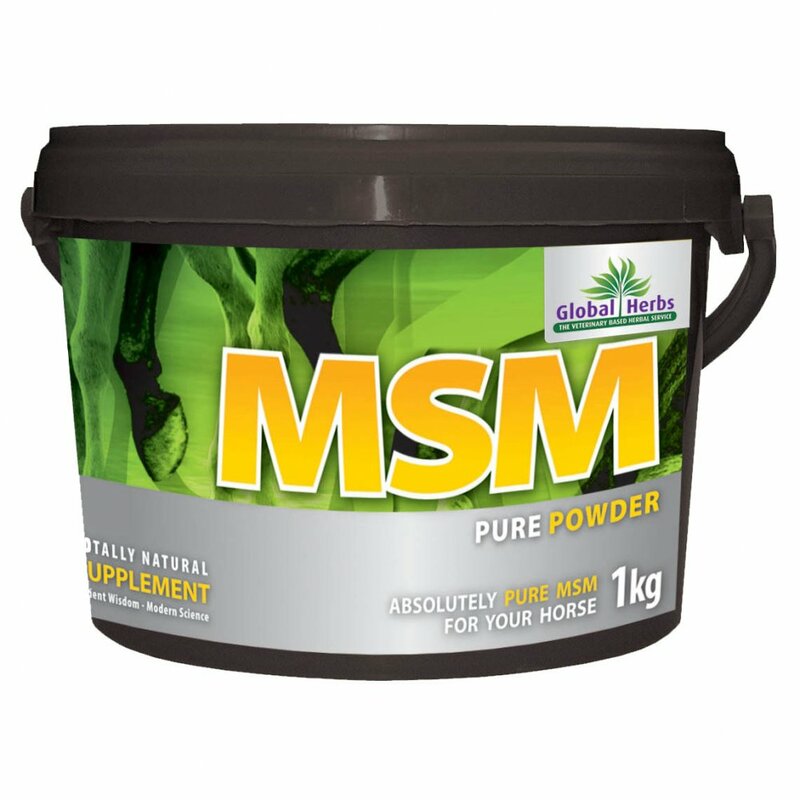 When fed alongside GlobalVite, Global Herbs MSM contains all the minerals and vitamins to naturally maintain the horse's joints and tendons.